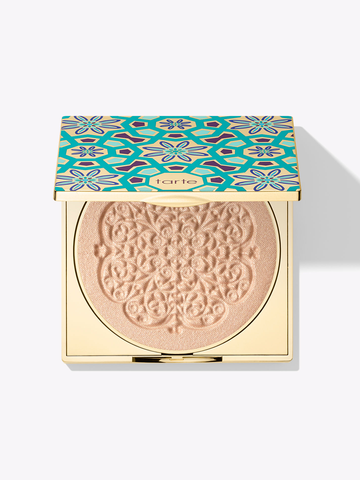 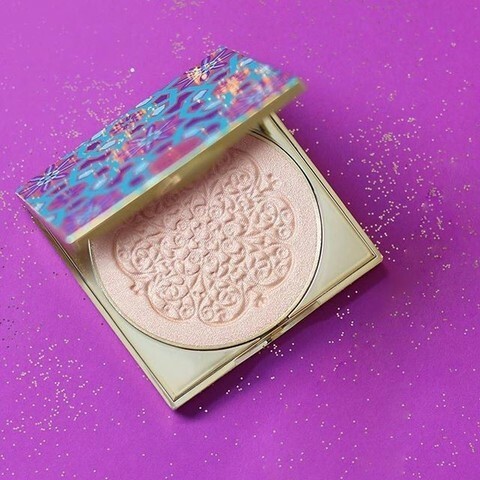 A vegan, custom-press golden champagne highlighter in an XL compact to illuminate every single skin tone from head to toe (seriously, dust this on everywhere!). 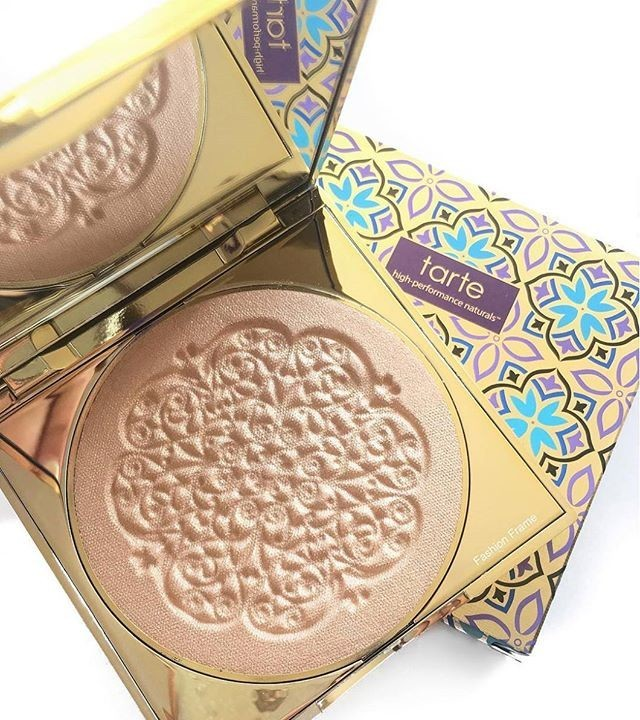 Builds a natural radiance or blinding strobe with concentrated gold flecks to luxe up your look. 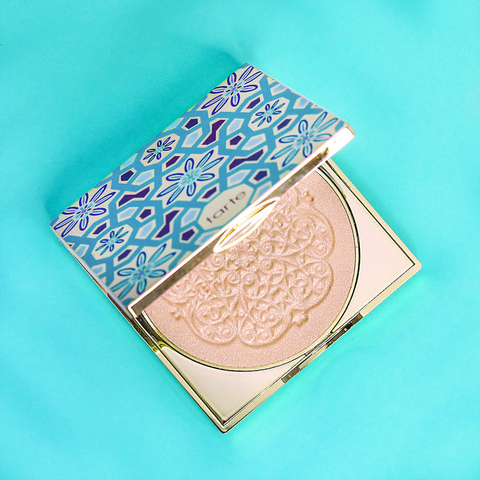 The silky, weightless powder features coconut & our Rainforest of the Sea™ complex to smooth skin, so you can apply layer after layer to create your perfect, effortless highlight. 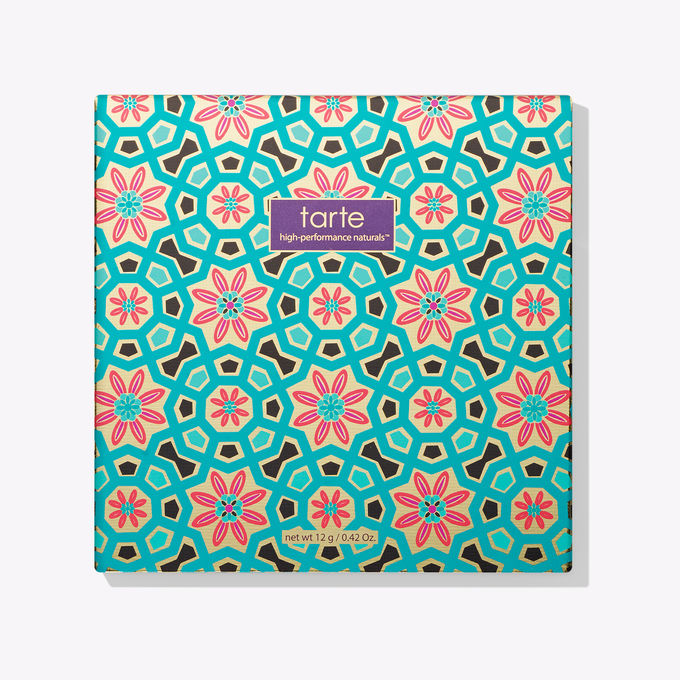 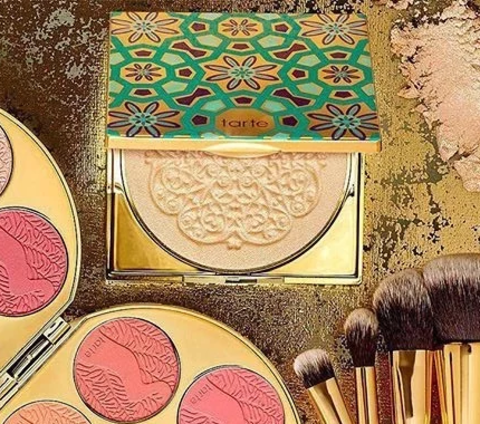 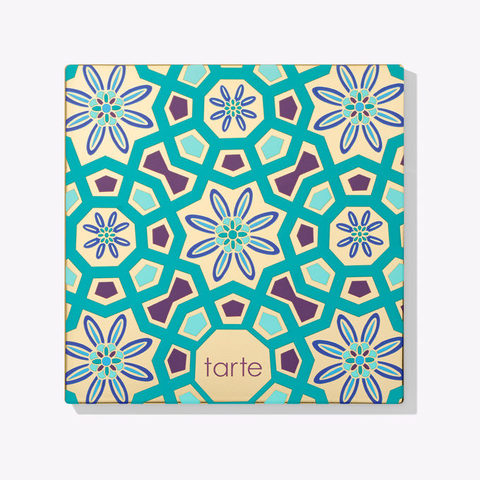 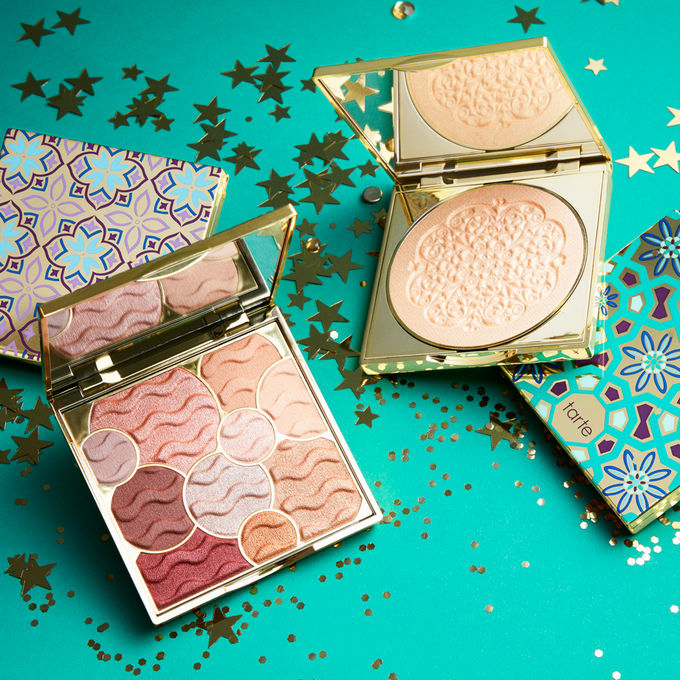 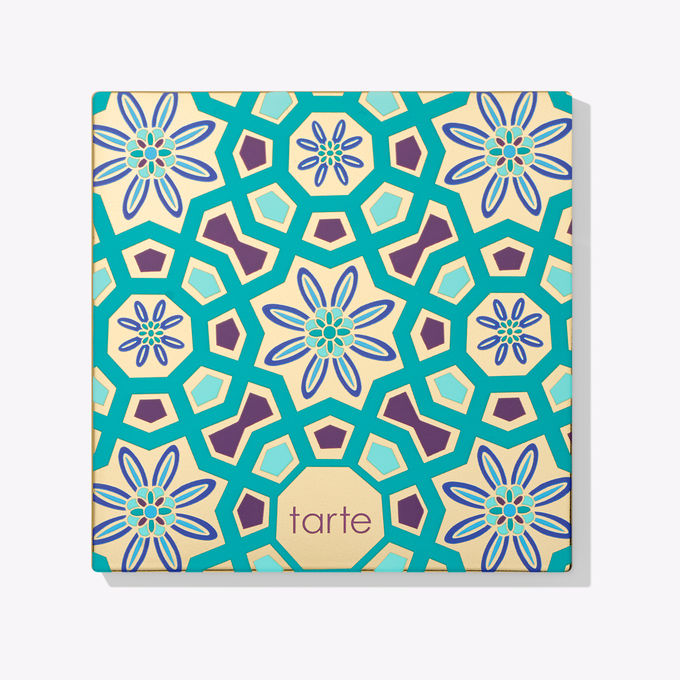 Inspired by Moroccan mosaics, the custom lattice press & bright packaging add some global-glam to your glow. 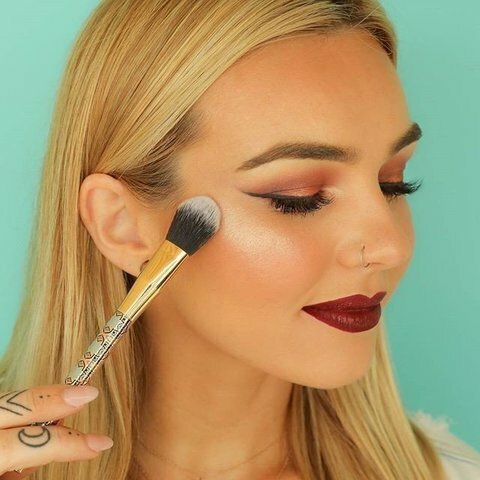 Swirl a cheek brush over the custom-press highlighter & sweep onto high points of face, such as the cheek & brow bones, down the nose & cupid’s bow. You can also blend a sheer layer all over for an awakened glow. Ingredients: Talc, mica, silica, synthetic fluorphlogopite, polypropylene, aluminum starch octenylsuccinate, nylon-12, octyldodecyl stearoyl stearate, pentaerythrityl tetraisostearate, zinc stearate, caprylic/capric triglyceride, polyethylene, diisostearyl malate, isododecane, stearyl dimethicone, caprylyl glycol, dehydroacetic acid, phenoxyethanol, octadecene, PTFE, hexylene glycol, disodium EDTA triolein, tin oxide, cetyl PEG/PPG -10/1 dimethicone, hexyl laurate, polyglyceryl-4 isostearate, cocos nucifera (coconut) oil, lecithin, tocopherol, ascorbyl palmitate, algae extract, gardenia taitensis flower, citric acid, titanium dioxide (CI 77891), iron oxides (CI 77491).